New customers are the lifeline of business organizations. Businesses – irrespective of their sizes – won’t be able to sustain for too long if they are incapable of attracting new customers. So it is crucial to present your brand in such a manner that it will not only entice your target audience but will also instigate them to buy products from you each time. If you are running marketing campaigns on limited social networking sites such as Facebook or Twitter, then it is time that you explore other social media networks as well. Find out the sites where your target customers spend considerable amount of time, and participate in their discussions. Share content related to your products on these social media sites. Avoid hard selling your products and instead try to build long-lasting relationships with your target audiences. Send out emails to your present customers and ask them for referrals. If you get sales through referrals, then offer 10% of commission to your existing customers. See to it that your customers are happy with your products and services – ask their opinion on the same. You may also ask them for testimonials so that you can include them on your websites. Create web offers and present them to customers through social media sites and emails. Give them a code which can be used to redeem an offer on your website. It will drive traffic growth to your website and also enhance your sales. 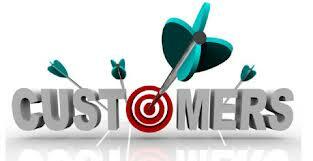 In any business, it is the customers who take your business forward. Incorporate new ideas in your business strategy, build your brand image and gain regular flow of customers. 5 Giveaways To Make Labor Day Extra Special For Employees! 8 Desirable Giveaways For Millennials!